Lemurian warriors including the Serpent Hunter, Oceanic Guardsman, Sea Sentinel, Spouter and Biomancer Gene-Mage O.C.C.s and special abilities. 50 new Biomancy spells, new Ocean Magic, and Hydro-Psionic powers. Living Bio-Armor and the Stone Guardians of Easter Island. Biomancy-created War Steeds that are more monster than steed. 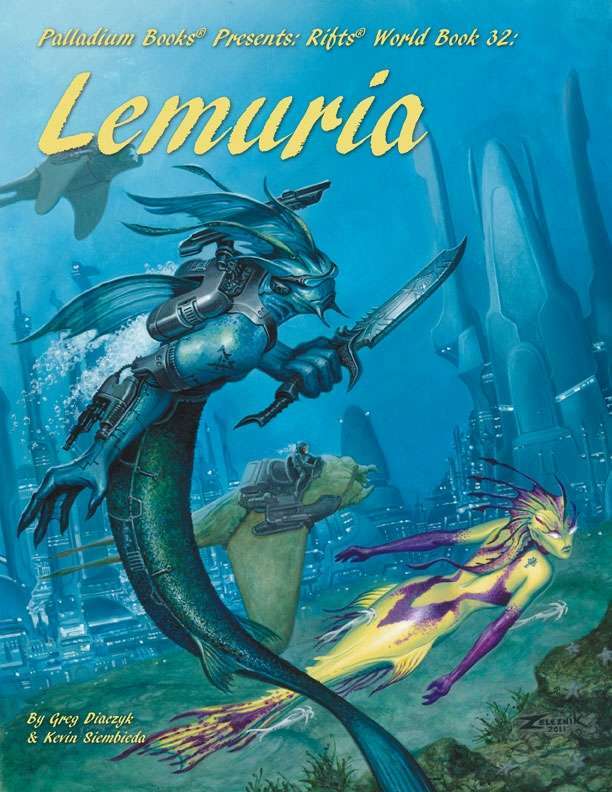 Stone vehicles and floating cities of Lemuria. Biomancy weapons, Biomancer Gardens, herbs and symbiotes. Monsters like the Milu and their undead legions. Symbiotic creatures and Biomancy constructs. The amphibious Lemurians, their race, history and society. A rich, new realm of adventure and gaming resource. Ideas for adventure, new player characters, and much, much more. 224 pages written by Greg Diaczyk, Kevin Siembieda and Matthew Clements. PDF Bookmarks and Links in Contents pages included! So I was a Megaversal Insider for this at the PDF level, and I would like to get this added to my library here. Can you please provide a coupon code for me, or whatever you need to do, so that I'll have it stored in my DriveThruRPG library? My email address is the same as I used for the Insider. Let me know what info you need. Thank you. This title was added to our catalog on October 13, 2016.